Haven’t cooked pork chops before? Don’t worry. 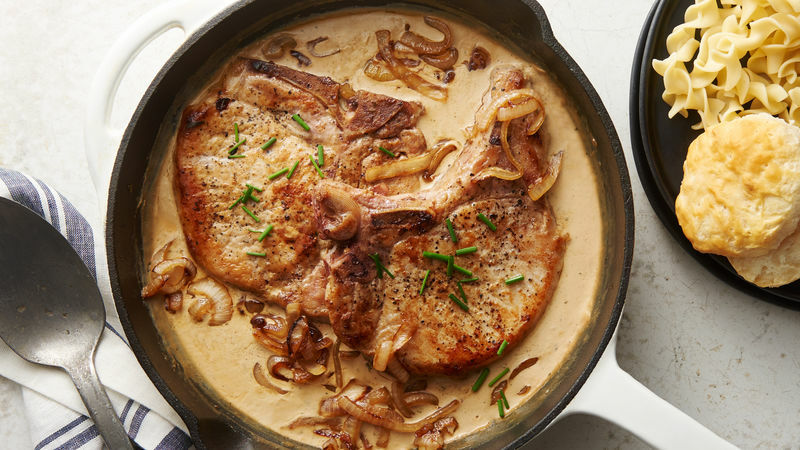 We’ve done the hard work for you and laid out a step-by-step guide for how to cook pork chops using any cooking method. Made pork chops for dinner and have some leftovers? You can refrigerate those for lunch or dinner tomorrow by storing in a sealed container in the refrigerator. If you want to stash them in your freezer to have on hand during a hectic weeknight, you can do that too! Wrap each individual chop in plastic wrap and seal in an airtight container in the freezer for a couple months (don’t forget to label the container with the date you put it in the freezer!). To reheat, thaw and cook until the internal temperature reads 165°F in the oven or microwave. Ready to go beyond pork chops and try your hand at pork tenderloin, ribs or pork shoulder? We have all of the pork recipes you need.